The locally owned chain of pet supply stores will celebrate 1st anniversary of downtown location on August 25th. AUSTIN, TX (July 13, 2018) — Healthy Pet, a locally owned chain of specialty pet supply shops, will host a Customer Appreciation Day on August 25, 2018, in honor of it’s Seaholm District store’s first anniversary (211 Walter Seaholm Drive, LR120). Healthy Pet opened its first store in June 2012 at the Shops at Arbor Trails; to thank its loyal customers and honor this milestone of their newest store, the Seaholm location is offering a massive sale, free hot dog lunch (11 am-3 pm), face painting, goodie bags (while supplies last), and more. The owners have also partnered with veterinarians and dog trainers from local businesses to provide pet physicals and training tips. 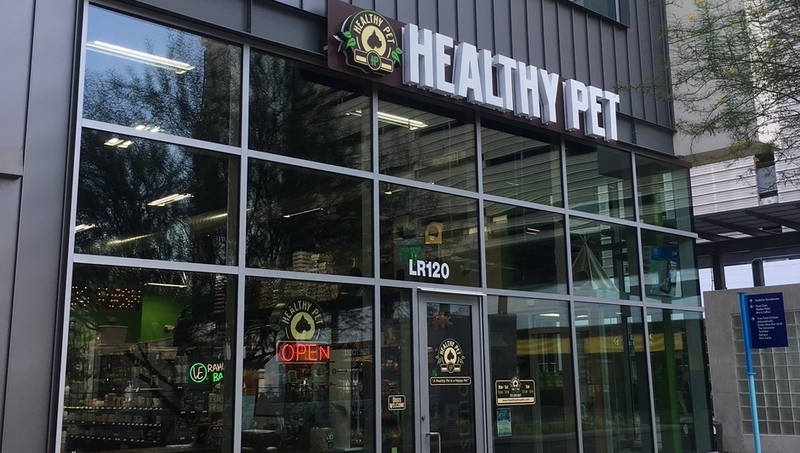 Healthy Pet is located at 211 Walter Seaholm Drive, LR120, right next to Trader Joe’s. All Healthy Pet locations are open 9 am-9 pm, Monday through Saturday, and 10 am-6 pm on Sunday. For more information about the event and other Healthy Pet locations, visit www.healthypetaustin.com or call 512-350-2277. There are plans in the works for a similar celebration at their Lakeline location.